The student community of various areas of the Misiones province in Argentina elected the authorities that will represent them in the “Student Parliament 3.0” using an automated suffrage system supported by the Legislative Chamber. Read the news here. No two countries could be more different in the way they approach e-voting as Spain and Chile. While the former has been carrying out pilot tests since 1995 without taking any firm steps to automate its elections, the latter discussed the idea of applying electoral technology only in 2012. Despite this obvious difference, in the past few days, active political members of both nations agreed to restart the discussions on the matter, putting in the limelight their voting systems’ need for evolution, with the goal of having more electoral guarantees to offer the voters and the democratic process itself. This is how in Spain, where e-voting has undergone several trials (the last of which took place in the cities of Castellon, Ceuta, Huesca and Merida in 2011), no autonomous community has taken the lead and made voting automation into law. 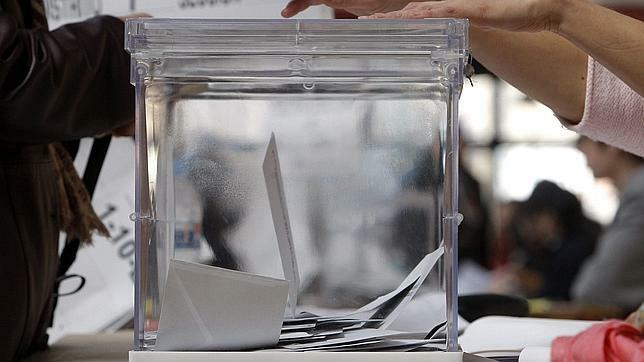 However, the province of Asturias is analyzing a reform to its Electoral Law that could allow for voting technology. According to the information made public, the first step in the transition from manual to electronic voting would include Spanish nationals residing abroad, since the possibility of making e-voting available to them is being considered. The idea is to benefit from one of the main advantages of automation: an increase in voter turnout. The swiftness of results and of the voting itself is one of the characteristics that mobilize more voters in those countries that employ voting technology. On the other hand, Chile has said few about automating the voting process, but the accusations of up to a million votes lost in the October 2012 municipal elections have made the subject relevant once more, and politicians are involved in its discussion. Regarding the fact that only the Senate’s approval is missing to pass a law that would make voting legal for Chileans abroad, “Red Internacional por el Voto sin Condiciones” (International Network for Voting without Conditions, a Chilean NGO) claimed that, together with the restitution of the political right to vote to immigrants, multiple voting modes should be allowed as well, such as postal and e-voting. Both debates, the Spanish and the Chilean, could be the kick-start that the authorities need to modernize voting and level with their European counterparts (Switzerland), or even match the trajectory set with speed and success by other Latin American countries (Venezuela). Like other legislative powers in the world, the Chilean senate is seeking to improve its performance through e-voting. Currently there is an open bidding process for methods to automate voting in the chamber, which is looking to add transparency to the attendance of its members and their permanence during the sessions. Here is the story.